Captain Lindsey House on Lindsey Street. the people who own and run the inns. from their well appointed library. You'll feel right at home. Egyptian cotton towels. Not like home at all--so much better. homemade rhubarb and strawberry jam. 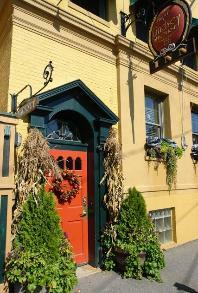 The Captain Lindsey House is one of the four Historic Inns of Rockland, Maine. Association. She has also been a broadcaster for Time Warner Cable.